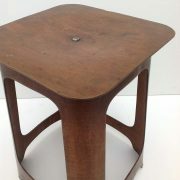 The Isokon stool was used in the ‘Isobar’ with Marcel Breuer’s tables in the Lawn Road Flats designed by Wells Coates. 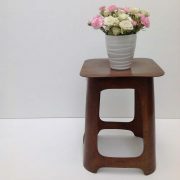 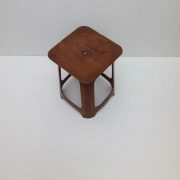 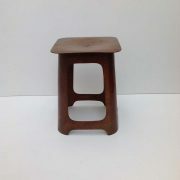 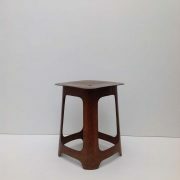 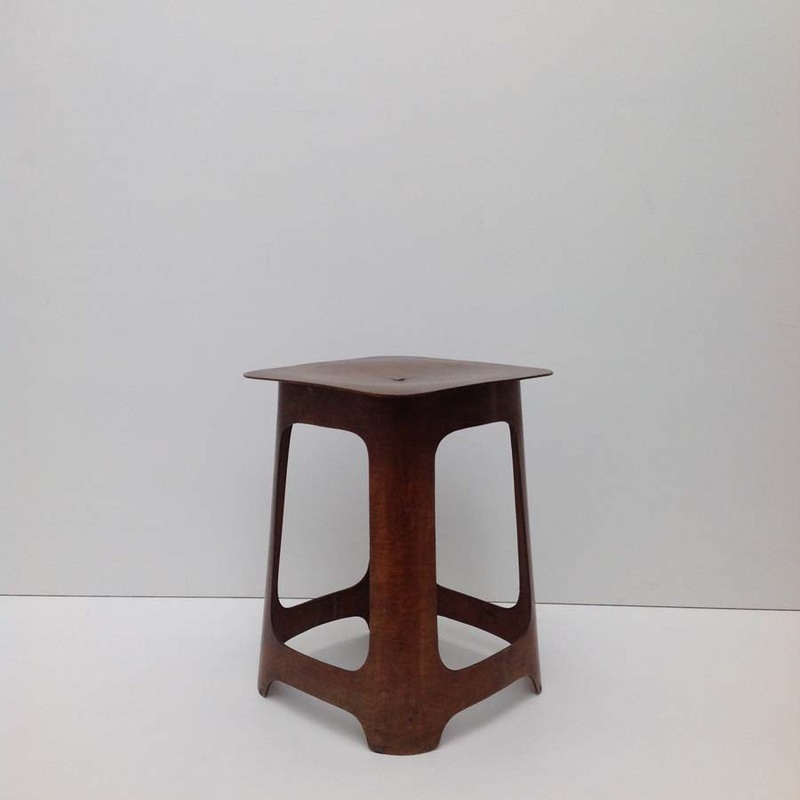 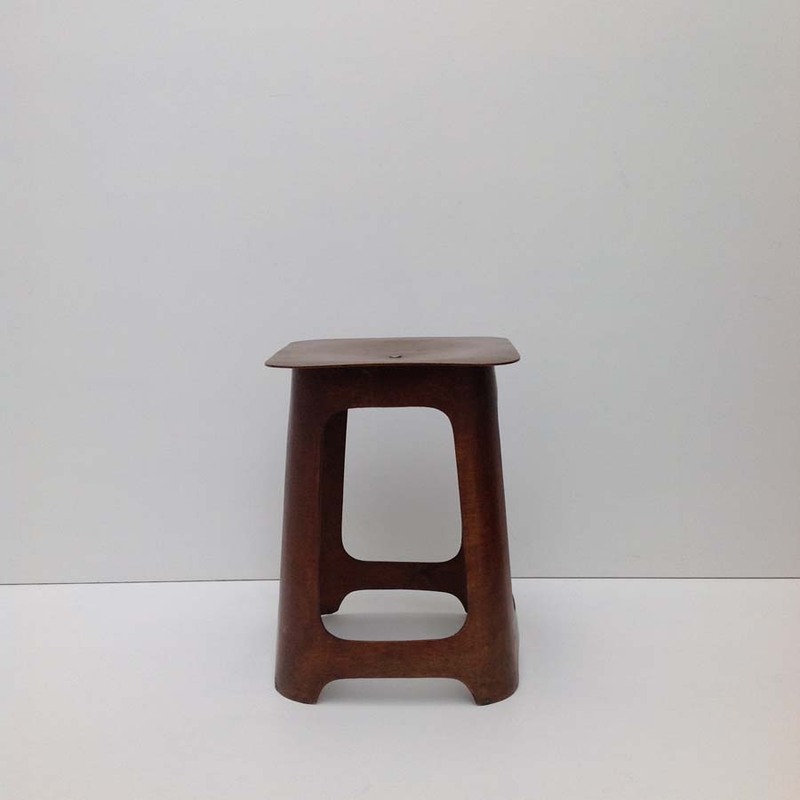 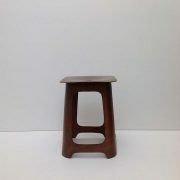 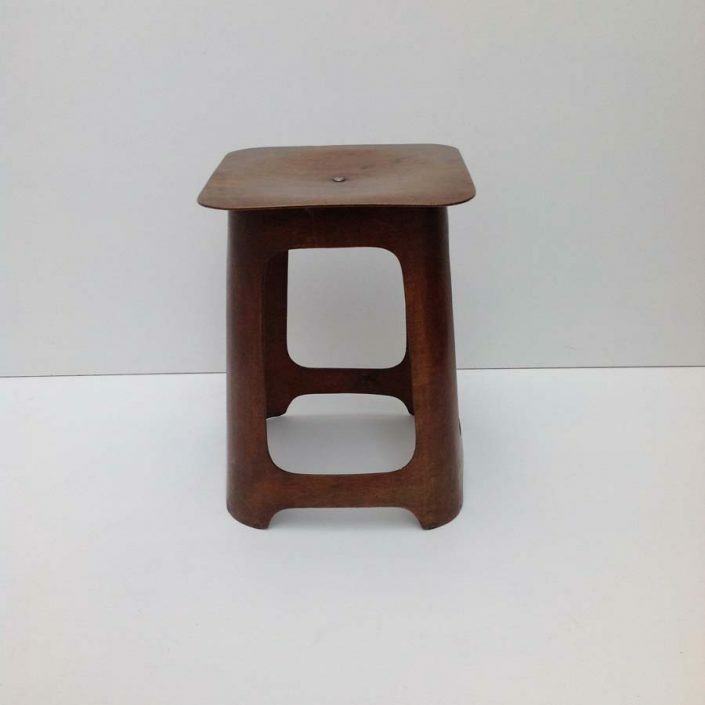 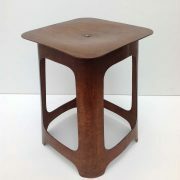 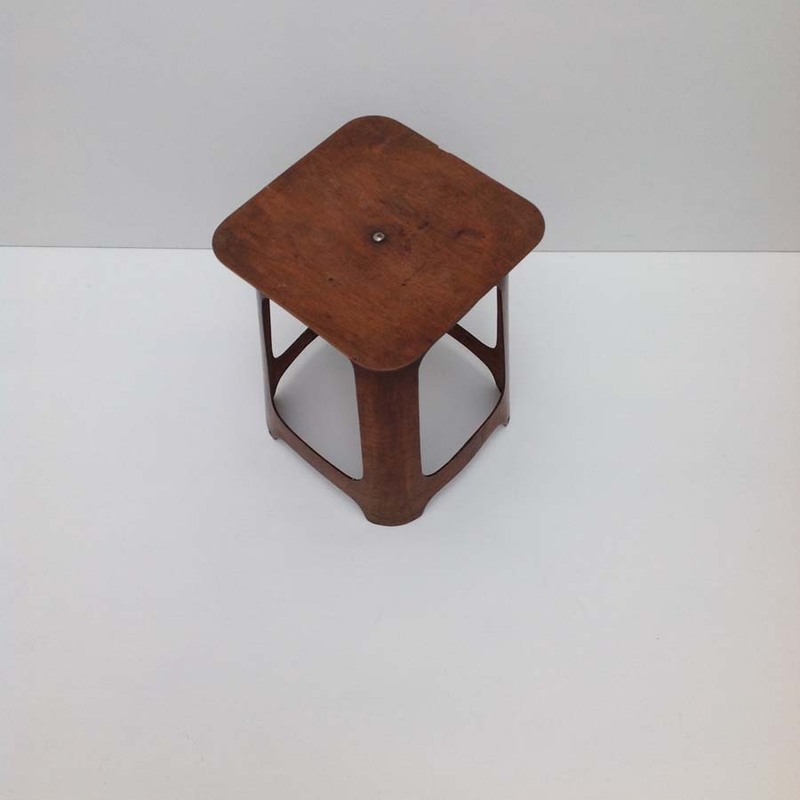 The stools were made for Jack Pritchard’s Isokon Furniture Company by Venesta of Estonia before the war, however, the designer remains unknown. 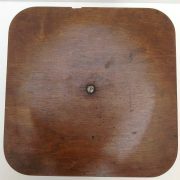 Production ceased after the war. 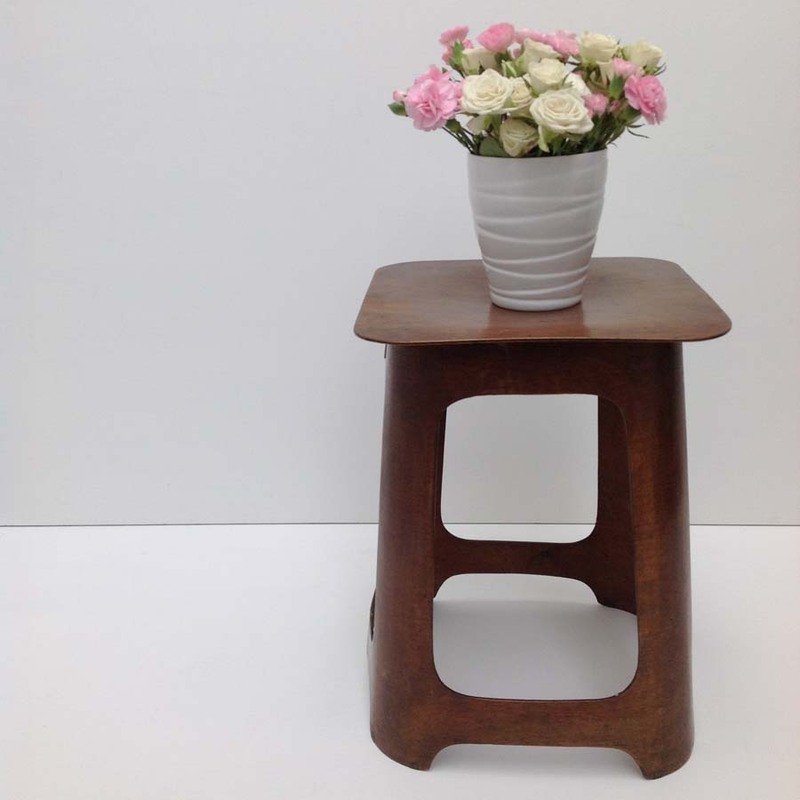 Ingenious lightweight but strong laminated veneer design. 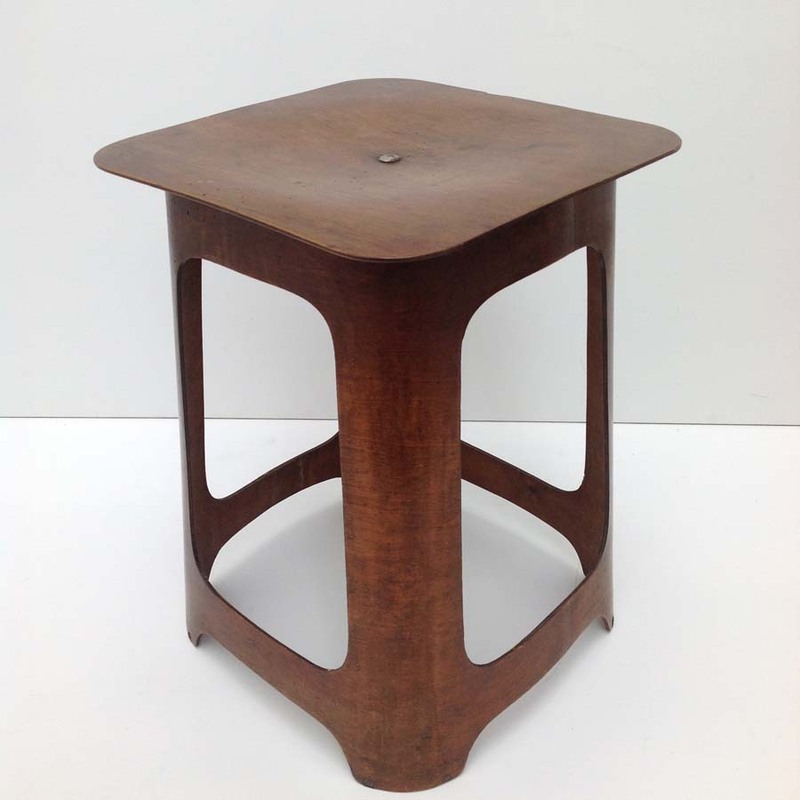 This example has a lovely polished stained finish with great patination, a few old worm holes & a small piece of ply missing from the top.